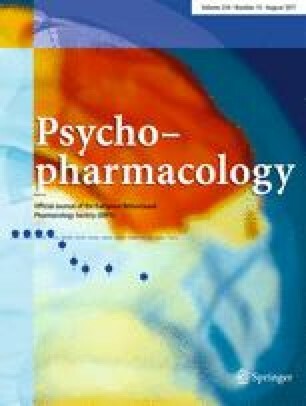 A gas chromatographic-mass spectrometric determination of blood N,N-dimethyltryptamine in normal controls and schizophrenic patients was carried out with a sensitivity limit of 0.05 ng/ml whole blood. Although the results appear to suggest that the mean DMT level was higher in the total patient group, those patients with acute psychosis, female patients and patients with suspiciousness scores on the BPRS of 4 or over, the differences were not statistically significant. 1.New York University Medical CenterNew YorkU.S.A.